Hello everyone! I’ve been so busy lately that I haven’t devoted the time I need to devote to this blog. So, for the rest of the week…that is going to change. I have a lot of pending comments and I’m going to try really hard to answer as many of them as I can. It’s something I can’t hurry through because I want to be sure to formulate the best reply I possibly can. People write in with so many heart-wrenching and heart-warming (and sometimes really SCARY!) stories and since they took the time to write to me…I need to take the time to write back. So, if you’ve left a comment and I haven’t responded yet…well, I’m going to work on that over the next few days. Promise! So anyway, I’ve been working on my latest book, Ghost Trouble! This story is told through the “hero’s” viewpoint (go Kade!) and I enjoyed writing this one a lot! I got to see the whole ghostly business from another perspective and that made it interesting in a different way that Tess makes it interesting. Speaking of Tess, she is just so talented with her interactions with the other side that I thought it would be cool to see what happens when someone NOT of the medium-type variety has to deal with paranormal phenomena. It was really quite interesting. For those of you who haven’t read my Tess Schafer-Medium series, they are fictional books but I really try to incorporate the things I’ve learned about the paranormal into the stories. I try to make them as realistic as I can without being boring! (I hope!!!) Of course, with fiction, one can take some liberal license to pepper the story a little more colorfully than what people might REALLY encounter, but…well, you never know! People ask me if any of the stuff in the stories ever happened. Well, I can tell you this…I base SOME of it on personal experience and some of it on experiences others have shared with me. Additionally, I feel like I just sort of “plug in” to the spirit world when I sit down to work on a story. Without any planning, the story unfolds and holds me in its thrall … making me type as fast as I can to find out what is going to happen next! I am as surprised as anyone by the revelations as they occur. Really. Honest to God. Speaking of God, I’ve received a few upset reviews because of Tess’s “religious” (I think of them as SPIRITUAL) beliefs. Well, I’m not apologizing for including her spiritual perspective in the stories. Tess believes in God. That is who she is as a character. She doesn’t really fit in any particular religious mold, though if I had to place her in one…I’d say she is closer to being a Spiritualist than anything. I, myself, go to a Spiritualist church (though I haven’t gone lately and need to get on it!!!). Like Tess, I believe in the afterlife and that we have the ability to communicate with those who have passed over. I believe that because I’ve done it. I’ve done it through automatic writing, through table tipping, through the Ouija, and through channeling. All have been amazing experiences and (thankfully) I’ve never had anything as terrifying and scary as Tess has had to deal with! I do, on occasion, have pretty intense dreams…some of them terrifying…but in all of them I wrestle with spirits and come out of it unscathed. I think that is spirit’s way of telling me that I’m doing okay. That my character has it right…you CAN interact with the other side and do it SAFELY. BUT, you need to know what you are doing and you need to take proper precautions to ensure negative entities don’t come through. Because they’ll try. They will. 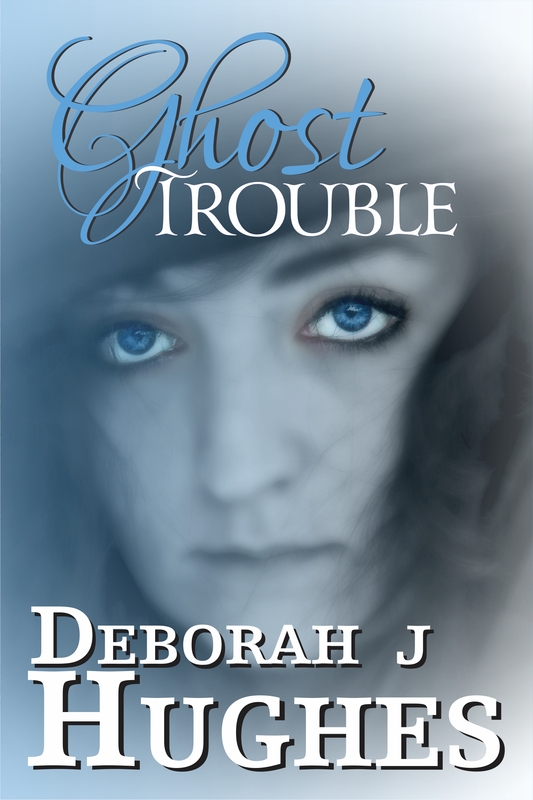 Causing trouble is what they do (which is why poor Kade is dealing with “Ghost Trouble” as a matter of fact!). However…MY belief is that NOTHING is stronger or more powerful than God, the Infinite Intelligence, the Creator, the Knowing One…or whatever you want to call it. The label placed on the Almighty One doesn’t matter. I am just amazed that three years ago the Tess Schafer-Medium series didn’t exist. 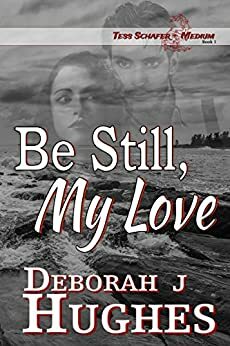 Not until about June of 2011 when I wrote the first in the series, “Be Still, My Love”. Now here I am on book 5!! My supernatural thriller “No Matter What” was influenced by my teenage years and all the stuff I was learning about the paranormal while trying to figure out what was going on in that haunted old farmhouse I lived in! I first wrote it when I was in my mid teens. I finished it when I was in my forties! It’s my favorite of all my books but I have to say that Tess and Kade have a special place in my heart as well. 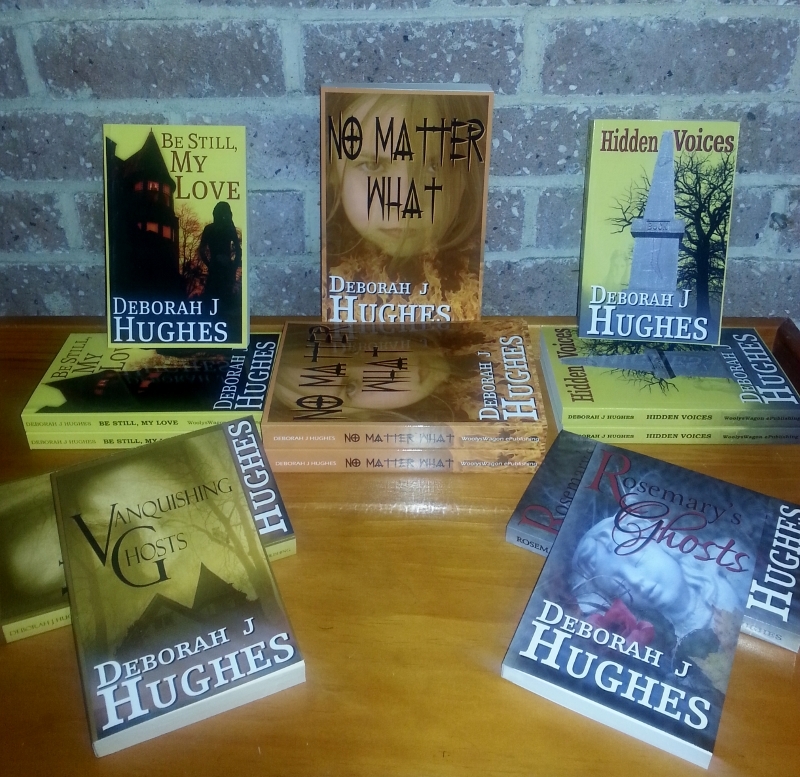 They take me on their ghostly journeys and spirit is helping me write them. It’s very cool. So, anyway, this is a short post. I just wanted to share what was going on in my life. I won’t make all my posts about my books but since I’m celebrating yet another publication, I just wanted to include links to them all in this one. If anyone is curious about future book releases, you can just follow this blog or “like” me on Facebook! I will keep people updated on my author life even as I continue to share other things that interest me, especially if it involves the paranormal world! Okay, that’s it for today! May you all be showered with joyous blessings!! Grieving medium Tess Schafer travels to a haunted resort on the coast of Maine and while helping two lovelorn ghosts, finds healing from her own heartbreak. With the whispered words “Be Still, My Love” Tess learns to overcome her grief and move on with her life. 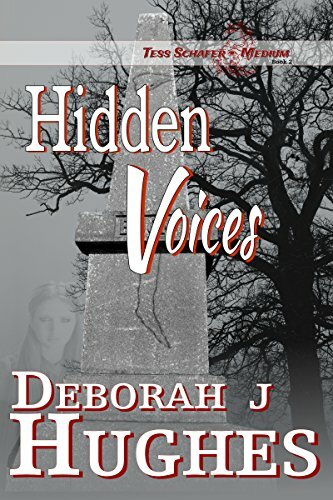 Her travels to Bucksport, Maine, to investigate the mystery of town founder Jonathan Buck’s cursed graveside monument has her investigating “Hidden Voices“ from beyond and solving a mystery that has plagued the town for over a century. 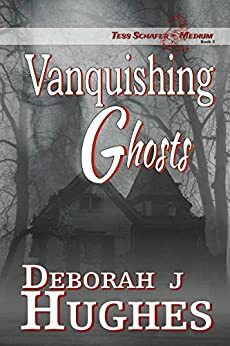 With more paranormal mysteries to solve, Tess decides to make her home in Bucksport, but she is soon busy “Vanquishing Ghosts” in order to remain there! 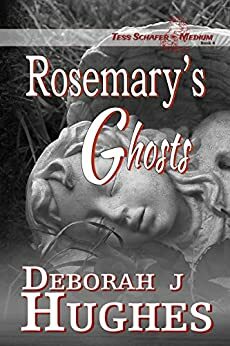 When Tess answers the call for help on a small island on Silver Lake, she becomes reluctantly involved helping with “Rosemary’s Ghosts” and going through hell to do it! And now, Tess has gone for a visit with family, leaving her boyfriend Kade to deal with some “Ghost Trouble” all on his own…well, with a little help from some friends! 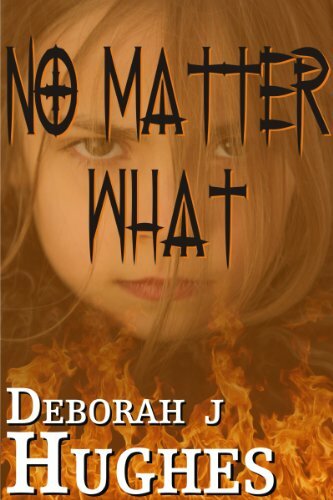 In the supernatural thriller No Matter What, a few folks in a small New England town find themselves embroiled in a centuries old tragedy that will forever affect their souls if they don’t make right a past wrong! Thank you for your blog, I have just lost my soul mate suddenly sixteen days ago and I feel his presence all around me. I am just looking for something to help me communicate if I can. I am so sorry for your loss. He is definitely still with you! Every time you think of him, he comes to you. HE is not sad. But his joy does not help your sorrow. I understand that. When you sit quietly and think of him…nice, loving memories, let those good feeling surround you. Then, imagine him coming to you and sitting next to you and talking. Just “make it up” as you go. He is helping to influence those thoughts you are “making up”. It will be a good feeling and you will know you truly have communicated with him! Blessings to you! « Life Always Gets in the Way! Ever notice that?